The VeryPDF.com has been receiving the following question “Is there a tool available to convert pcl to pxl and set page size?” The answer is confirmative. In order to help the people holding the same question, the VeryPDF.com introduces you PCL Converter command line, a greatly useful pcl converter, with which you could convert pcl to pxl and set page size effortlessly. The VeryPDF.com uses leak.pcl as example to set its width to 800 and height to 600 by using PCL Converter command line. The whole package is just of 6.04 MB, making the download swiftly. You have to launch MS-DOS command prompt window. Because the command line is bound to be operated under the MS-DOS environment. The procedure is easy, and the following pictures will guide you. From the picture, you can find pcl file has been converted to pxl file successfully. 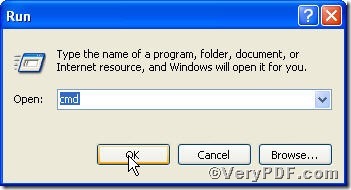 Please open it in your computer with a pxl reader to check the page size. If you have any questions, you can leave them below. 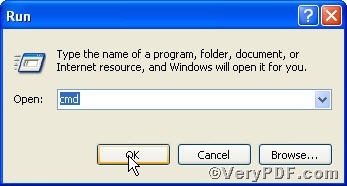 This entry was posted in VeryPDF Blog and tagged command line, convert pcl to pxl, PCL Converter command line, set page size. Bookmark the permalink.